Last week, a report circulated throughout the web regarding the new Tomb Raider movie that is currently in development. According to unnamed sources, Zero Dark Thirty’s Kathryn Bigelow, Twilight’s Catherine Hardwick, and The Leftovers’ Mimi Leder were on the shortlist to direct the film about a younger Lara Croft. But, you know what they say about that grain of salt, right? As it turns out, Bigelow has no interest in making the video game movie. According to a rep for Bigelow, the filmmaker has not had discussions with anyone about the project, and furthermore, they say that she "does not have any interest in directing this film." So, there you have it. In light of this development on Tomb Raider, the validity surrounding the other two directors on this shortlist is thrown into question. So it’s probably best to take those names with a grain of salt as well. 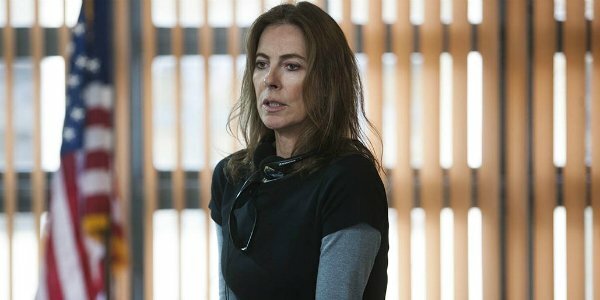 Kathryn Bigelow won two Oscars for her work on The Hurt Locker back in 2009, and was nominated for a third Academy Award after making Zero Dark Thirty. Since the latter, however, she hasn’t directed a feature film. Her name has been tossed around for a number of rumored projects, including Tomb Raider, though we're still waiting for more concrete information regarding where those productions are in development. She has an executive producer credit on the Matthew Heineman documentary Cartel Land, and there have been reports that she may set aside Paramount’s Triple Frontier in order to focus on a film about the story of Bowe Bergdahl - an army sergeant who was held captive by the Taliban for five years after he left his base in Afghanistan. Mark Boal, who produced and wrote Zero Dark Thirty and The Hurt Locker, has reportedly penned the script. As far as the Tomb Raider movie goes, we last heard that it was Evan Daugherty of Divergent, Teenage Mutant Ninja Turtles, and Snow White and the Huntsman who had been tapped to develop the script centered on Lara Croft’s first major archaeological expedition. Basically, the idea is to make a feature film more in the vein of the new Rise of the Tomb Raider video game. In addition, MGM had made a deal with Warner Bros. to bring the project to life. Angelina Jolie portrayed Croft in the first two video game movie adaptations — Lara Croft: Tomb Raider and Lara Croft Tomb Raider: The Cradle of Life. A director and actress has yet been named for the new reboot, and the same is true for a lead actress.